Beaver County Peace Links: What Is Obama's Position on Afghanistan? Say It Again? What Is Obama's Position on Afghanistan? Say It Again? May 16, 2012 - As a candidate opposing the Iraq War, Barack Obama improved his hawkish credentials by promising to track down Osama bin Laden, expand drone attacks, and escalate the American troop numbers in Afghanistan. 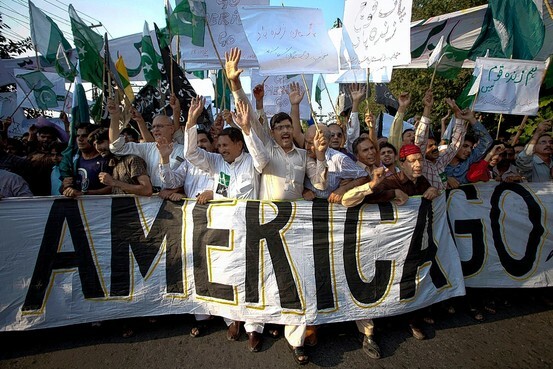 Three years later, bin Laden is dead, the drones inflame Pakistan opinion and complicate a peace settlement, and 33,000 American troops are scheduled to pull out by the end of 2012 with "steady withdrawals" to continue after. Sixty-eight thousand U.S. troops will remain in Afghanistan by this year's end, with the deadline for withdrawing most of them by December 2014. By the numbers, Afghanistan has already directly cost taxpayers $528.8 billion, and the Obama request for Afghanistan this fiscal year is $107 billion. That does not include the hidden, indirect costs -- accrual such as long-term Social Security, disability, and medical care for veterans, etc. -- partly spurred by an order last year from the Ninth Circuit Court of Appeal, which will add hundreds of billions, if not trillions to the ultimate financial impact of the wars in Iraq and Afghanistan. The president's internal political calculation in 2008 was that he could never pull out of Afghanistan without killing Al Qaeda's top leadership and building a firewall against a Taliban return to power. While perhaps correct politically, this has led to an Afghan quagmire shaken by severe contradictions. Hamid Karzai remains an unpopular, unreliable president whose term ends in 2014, the year of the troop withdrawal deadline. He seeks $3.5-6 billion each of the next two years to build up the Afghan armed forces, plus a Western commitment to funding for at least another decade, an impossible expectation. According to Pentagon evaluations, those troops are unable to function independently, though insurgent infiltrators are skilled at shooting NATO allies. (Twenty percent of NATO fatalities have occurred this year, according to The New York Times). Foreign aid to Afghanistan equals its entire gross national product and, according to the World Bank, "cannot be sustained." "Intractable Graft by Elite Afghans" makes reform out of reach. Earlier this year, the Taliban indicated through intermediaries a willingness to hold dialogue with the West, in Qatar, but demanded the release of several detainees now in Guantanamo, possibly in exchange for an American POW, Sgt. Bowe Bergdahl. Those discussions are in trouble, partly because of Republican opposition to releasing U.S.-held Taliban combatants. As a result, the Obama administration's hope for progress in negotiations has hit the skids. Despite these insuperable obstacles, Obama will try mightily at the Chicago NATO summit to indicate that the Afghanistan war is winding down, aware that an implosion is possible as Karzai trembles, millionaire Afghans flee the country, and the Afghan forces flounder. The Republicans will blame Obama for "losing" Afghanistan while trying to avoid any recommendations of their own. He has narrowed the mission to an obtainable one, "to make sure that al-Qaeda could never again use this country [Afghanistan] to launch attacks against us." In Chicago, NATO will announce the "goal" of Afghan forces to be "in the lead for combat" by next year. NATO, however, will fight alongside them when needed." Current troop reductions will continue on a "firm timeline" and "at a steady pace," with Afghans becoming "fully responsible for the security of their country" by December 2014. The U.S. will continue to focus on counter-terrorism and training, without building permanent bases or patrolling Afghan cities and mountains. The U.S., however, will use Afghan military "facilities" on a short-term basis. Obama is offering a "negotiated peace" with the Taliban, as long as they "break with Al Qaeda, renounce violence, and abide by Afghan laws." This is a retreat from the original U.S. demand that the Taliban and other insurgents abide by the Afghan Constitution. This opens the possibilities of a new power-sharing arrangement of some kind. Obama's offer to Pakistan that they be an "equal partner" in the negotiated outcome suggests that Pakistan's interests and alliances in Afghanistan will be respected, thus ending the rationale for drone strikes over Pakistan. Obama's statement, "we must give Afghanistan the opportunity to stabilize," can be interpreted as only rhetoric, or a veiled indication that the Afghan elite will have only a "decent interval" before being replaced, the same offer Henry Kissinger proposed for South Vietnam before it collapsed in 1975. If this seems much too muddled a process, it is because it is being rushed for the Chicago summit and is beyond US control in any event. But if Obama campaigns on ending the Iraq War and "winding down" Afghanistan, it will only accelerate the march to the exits. No one wants to be the last American soldier to die, or the last Western country to suffer casualties, in an unwinnable, unaffordable war that Americans do not much care about.